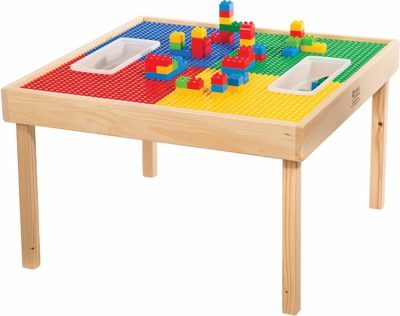 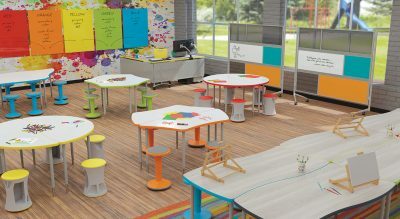 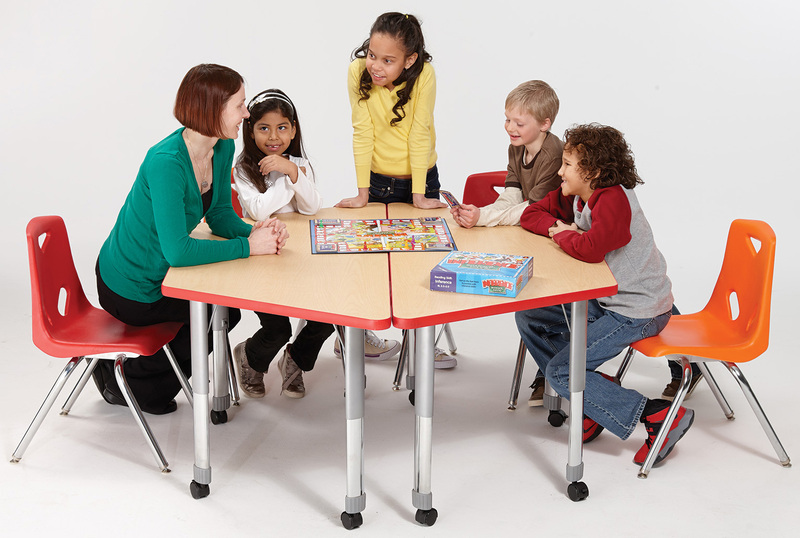 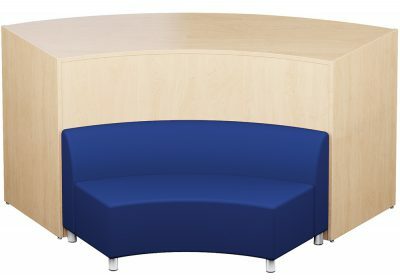 Whether you need to create space for collaborative learning or individual instruction, these tables offer a variety of shapes, sizes and colors to meet your needs. 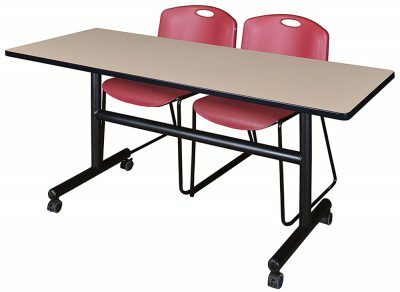 Boring tables, be gone! 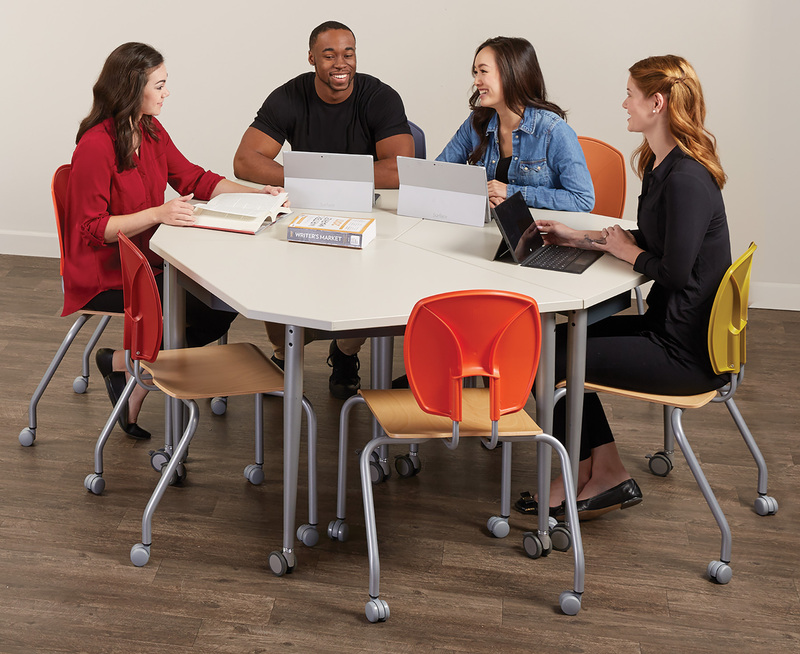 From triangles to trapezoids — MooreCo tables offer interlocking shapes that make it easy to create custom configurations to fit any library work space or classroom. Students move between sitting and standing to adapt to any learning environment and encourage physical and mental focus. This flex seating helps keep students focused and the chairs' stacking ability allows you to quickly transform your space. 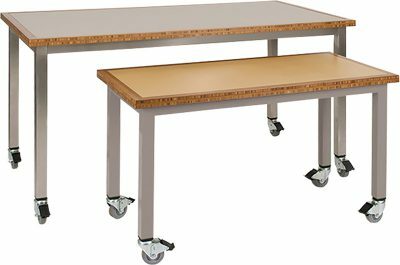 Locking casters and a durable, renewable bamboo top for maker activities make this table perfect for creation spaces. Stack 'em high or low! 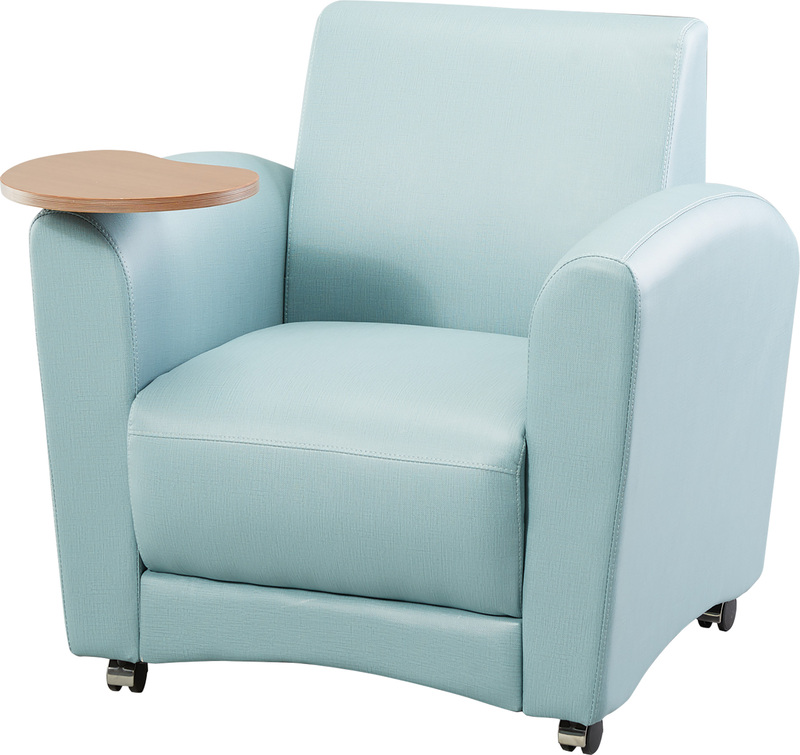 Rest on the flat side or flip the bottom for a curved rocker base that allows for 10° of movement in all directions. 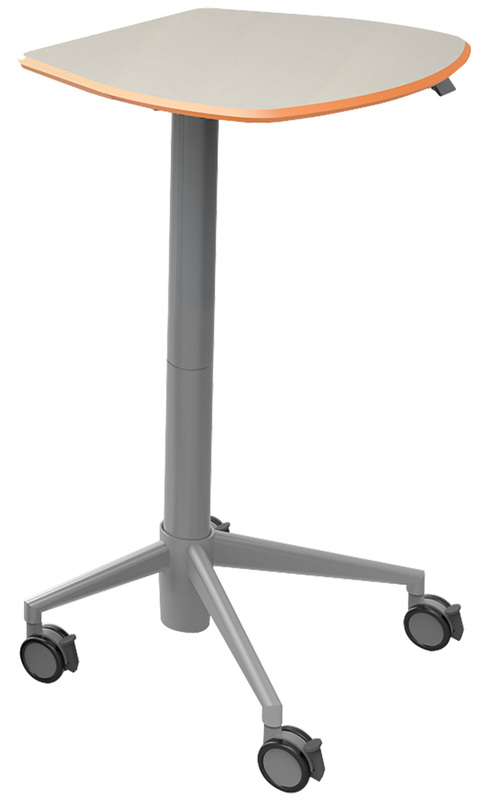 Superior support enhances comfort for prolonged levels of concentration. 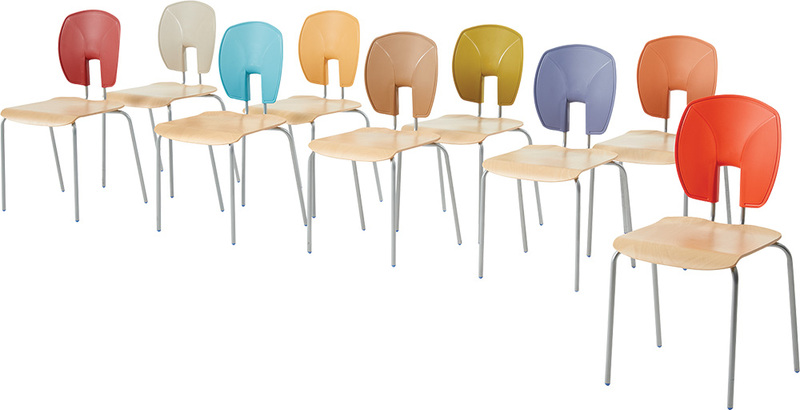 Stack up to 8 high to open up your space. Rearrange tables to make the most of any dynamic environment. 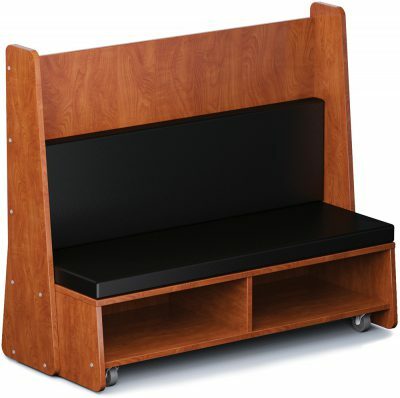 Simply flip, fold, and roll aside when not in use. 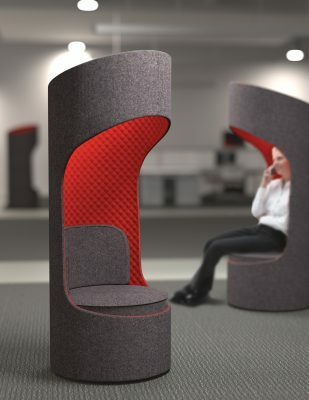 Create visual and acoustic private spaces within open environments. Relax or stick to the task at hand with a tablet that offers work surface while you lounge. 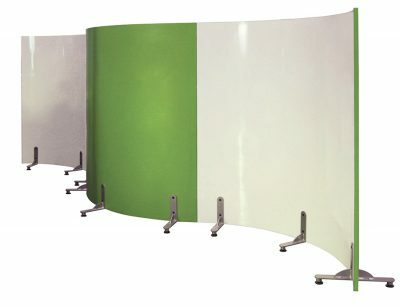 Employ privacy panels to create a private space or flip down for an open seat. 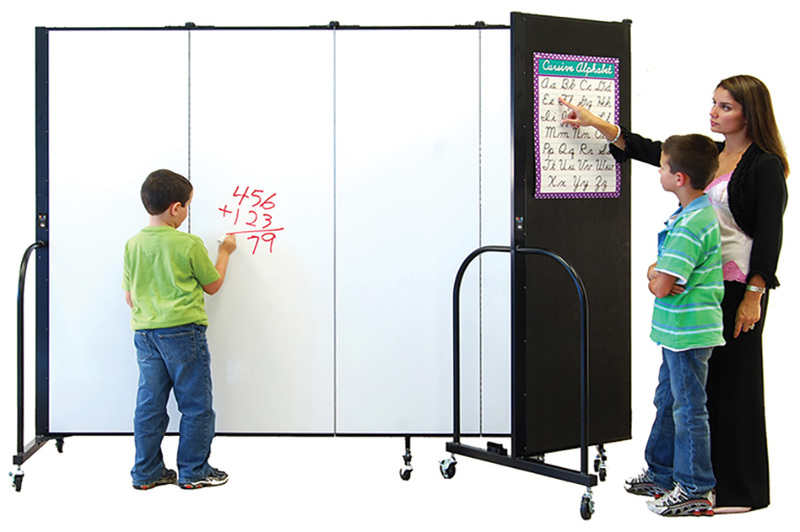 Easily create distinct spaces while maintaining an open atmosphere with mobile dividers. 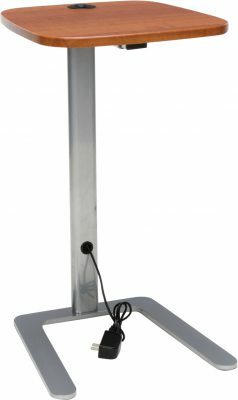 Flip-top tables provide charging power and easily flip closed, nest, and roll aside when not in use. A bench, a play table or a 2-seat sofa — you decide! These versatile pieces are perfect for youngsters indoors or out. Vibrant, fun, and indestructible, these stools can also double as a side table. 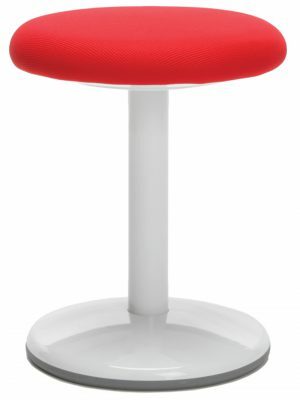 This active seating stool improves posture and strengthens core muscles while you sit. 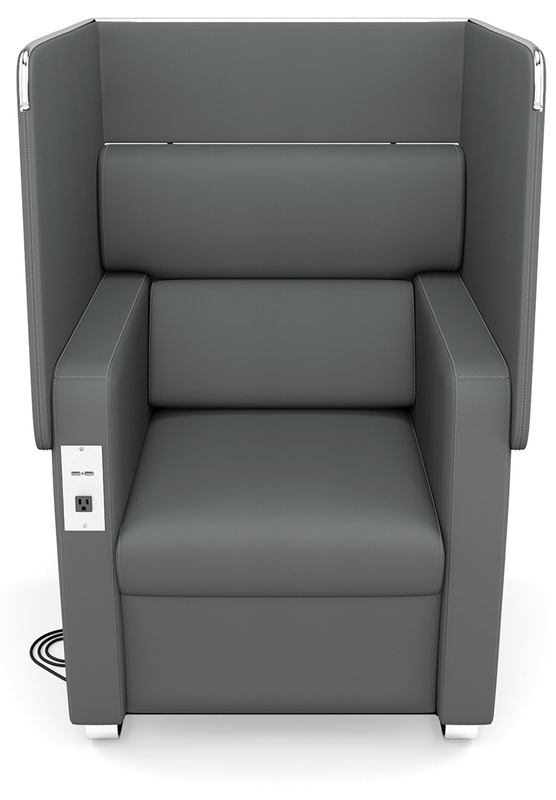 Users can collaborate with anyone anywhere and share information with the touch of a button. 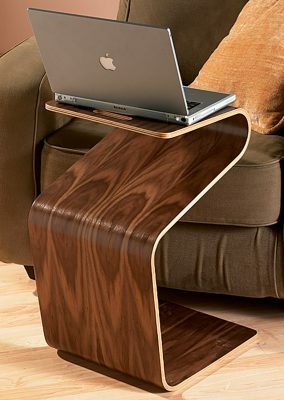 One part desk space, one part lounge — mixed to perfection! Swivel casters and optional dry-erase markerboard laminate on the backside help you easily create distinct zones. 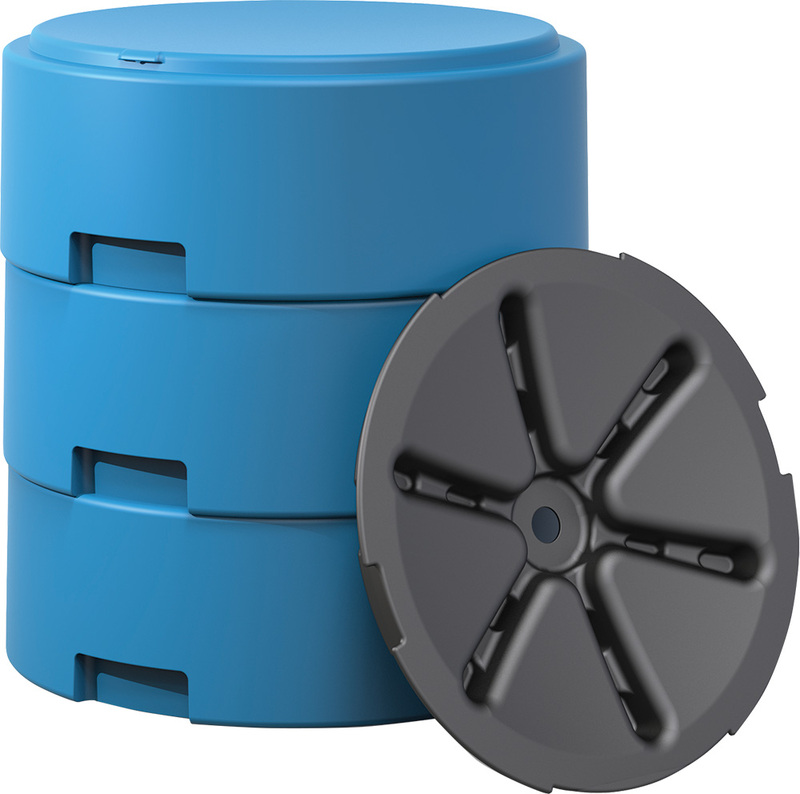 This powerful little table can go anywhere you need an extra surface with charging power. Charge your device in comfort. 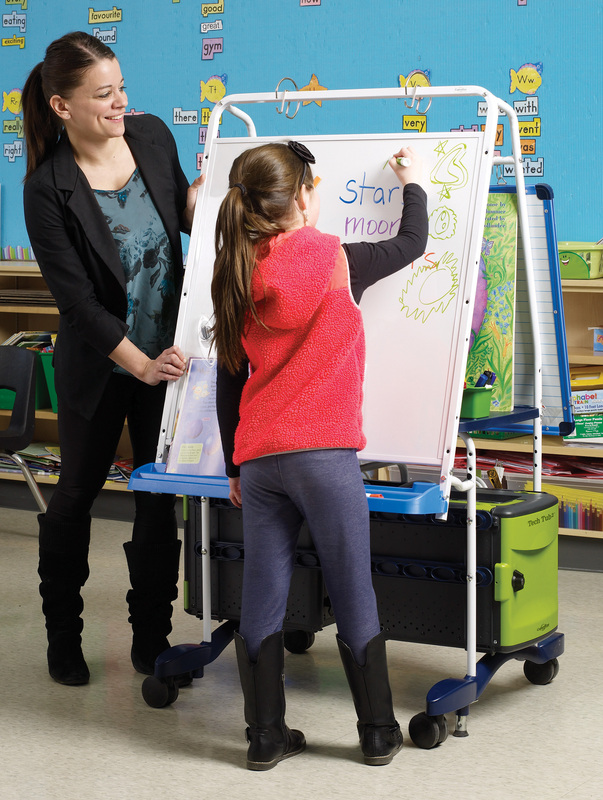 Save precious floor space by combining a classic easel with a charging station. 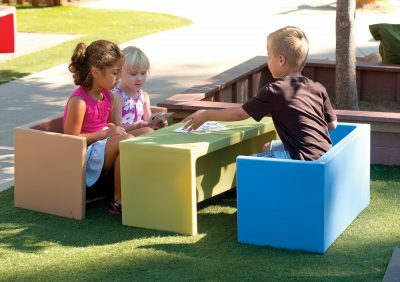 Make your children's area engaging and easy to keep clean with a play surface and storage in one convenient piece. 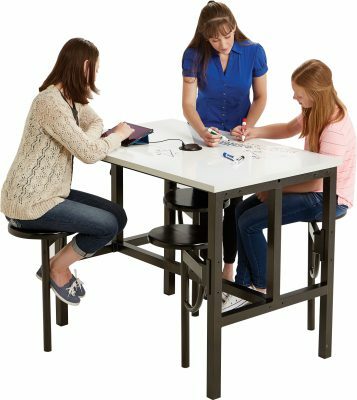 Users will get a charge out of working at these tables! 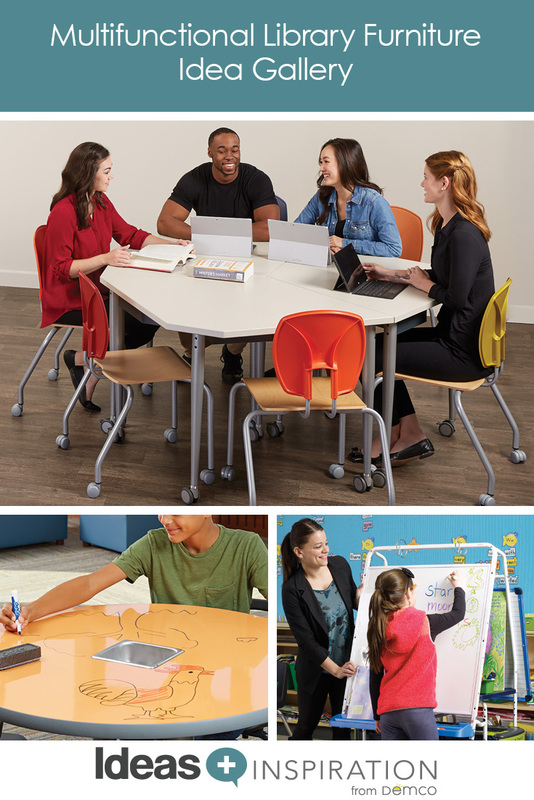 Built-in power and optional write-on surfaces inspire collaboration. 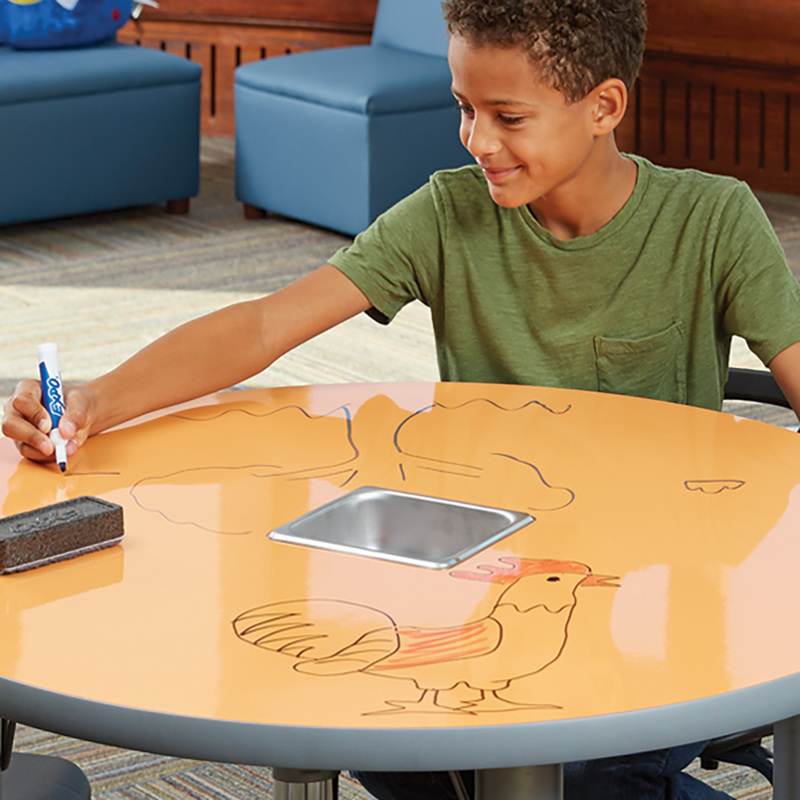 Inspire collaboration with mobile write-on-wipe-off tables. Create a collaboration space anywhere with panels that offer the perfect combo of write-on surfaces on one side and tackable, sound-absorbing panels on the other. 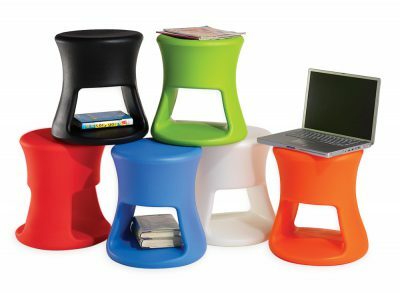 Create a lightweight side table anywhere, or flip it on its side and use it as a laptop stand.